Is this a slow news week or something? 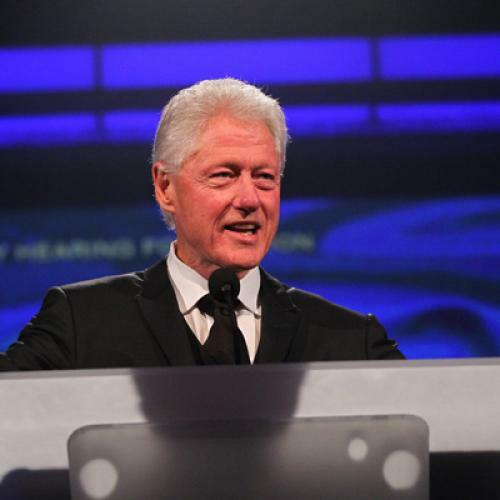 Former President Bill Clinton is scheduled to appear on all three Sunday morning chat shows to discuss next week's annual meeting of the Clinton Global Initiative. It isn't even the first one! It's the seventh! Look, I know Sting and Geena Davis will be there, and Muhammad Yunus (to provide a little glitz). And sure, the guy's married to the current secretary of state. But can't David and Bob and Christiane do any better? When the Carter Center throws a shindig our 39th president never gets this kind of network-news love. What's Bill Clinton's secret?